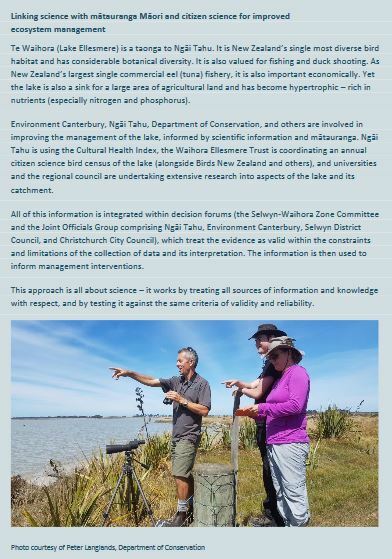 The Waihora Ellesmere Trust has established a fund to support small scale research and monitoring which contributes in a meaningful way to the integrated monitoring of Te Waihora/Lake Ellesmere and to reporting on the ‘State of the Lake’. WET has assisted in the development of an integrated monitoring strategy for Te Waihora/Lake Ellesmere, led by Professor Ken Hughey (Lincoln University, DOC Chief Science Adviser, WET Trustee) and which identifies monitoring currently taking place and areas which are data deficient. An overview of the strategy is available here. The strategy is closely aligned to our ‘State of the Lake’ reports, published in 2013, 2015 and 2017. There are a number of areas where we just don’t know enough to be able to report fully. There are many projects underway but there are still gaps which aren’t being addressed and we’d like to support initiatives to plug those gaps. You can download the Guidelines for Applicants here. The WET Living Lake Fund Application Form can be downloaded here as a Word document. We don’t have a specific closing date – applications can be submitted at any time. Using a completely fictitious applicant and project details, we have prepared an example of the sort of information we are expecting to be included in an application. You can see the example application to the WET Living Lake fund here. The Annual Te Waihora Bird Count – WET is please support this annual citizen science monitoring project with a small amount of funding from our Research & Monitoring Fund to cover some of the costs of the event, such as hall hire and refreshments. A huge amount of in-kind support is also provided by OSNZ, DOC, CCC, ECan and others. See our Bird Survey Project pages for more information about this annual event. In early 2017 the Annual Bird Count was featured in the government’s Conservation and Environment Science Roadmap.